If you don't have a ton of cash and you need a solid device, the Lenovo IdeaPad 300 is a solid choice. Depending on how much upgrades are, you might also be able to affordably add a few decent specs to the standard model. Not all powerful laptops have to cost you an arm and a lag. 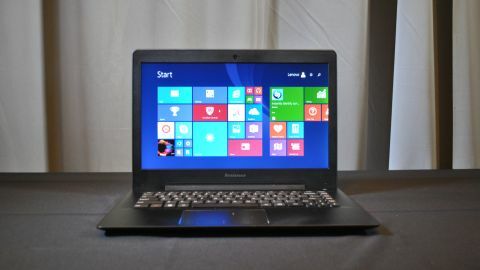 The 14-inch Lenovo IdeaPad 300 is a fully customizable Windows 10 laptop capable of running on the new six-generation Intel Core i processor. Oh, and it starts at only $399 (£260, AU$560). Unfortunately, most great deals do require some compromise and the IdeaPad 300 is no exception. For example: You won't get an Intel Core i processor at the base price, and you won't get above a standard high definition screen. However, if you're willing to sacrifice a few flashy specs and some minor aesthetics, the IdeaPad 300 could be ideal for you. As you continue reading, and as you're turned off by some of the low-end specs, keep in mind that the price of Windows 10 Home is $119, so you're really only paying about $280 for a laptop that won't win any prizes, but also won't leave you in a lurch. Built with Lenovo's signature black on black carbon fiber material, the IdeaPad 300 isn't bad on the eyes, but it will be rough on your. It weighs 4.63 pounds (2kg), which is much too heavy to lug around, but it's only 0.92 inches (23.4mm) thick, so if you need to carry it, it should fit in most newer laptop bags. The IdeaPad 300 comes with an HD display that can be configured up to Full HD. The upper panel of the laptop connects to the lower panel via a flat plastic hinge that runs along most of the mid-section of the device. The hinge is smooth and sturdy, although not as attractive as the dual metallic hinge Lenovo utilizes on premium laptops. You can bend the IdeaPad back 180-degrees, although I highly doubt you'll be using a 4.63-pound device in presentation mode very often. This is a sit-down laptop if ever I saw one. The standard keyboard is very plain-looking, although I like it a lot better than I do Lenovo ThinkPad keyboards. Ditto for the metallic TrackPad, which not only looks awesome, but performs accurately and smoothly. Unfortunately, the chassis is ridiculously fingerprint prone, so don't expect a pristine outer shell after a few weeks of use. If you're buying the standard version of this device, you won't be getting much in the way of performance. It will come with an Intel Braswell Celeron Processor, 2GB of RAM and 128GB of storage. The 300 has a nice selection of ports for such a bargain basement laptop (2 x USB 3.0, 1 x USB 2.0, HDMI-out, VGA, and a 4-in-1 Card Reader). This should give you some flexibility in terms of how much data you'll be able to cram into the device. If the aforementioned specs don't suit your needs, the IdeaPad 300 can be upgraded to an Intel Core i7 Skylake processor, 8GB of RAM and 1TB of data. It is immediately unclear how much that upgrade will cost you, but expect it to be a lot more than $479. There's nothing you can do about this laptop's putrid battery life. You'll only be able to get about four hours of video playback, which isn't even good enough to get you through half a work day. If you're going to buy this laptop, don't expect to be moving around very much. If you don't have a ton of money to spend, but you need a solid device with a pretty but not gorgeous build, the Lenovo IdeaPad 300 is a suitable laptop. It can be upgraded to perform at a really high level, but we're not sure how much those upgrades will cost you. Proceed with cautious optimism – this could be a fantastic deal if Lenovo affordably prices the customizations.